The PCT-M1 Flow control trainer unit is a self-contained system comprising a pump connected through PVC pipes to a flow sensor, a valve and to a rotameter used to see actual flow rate in the system. 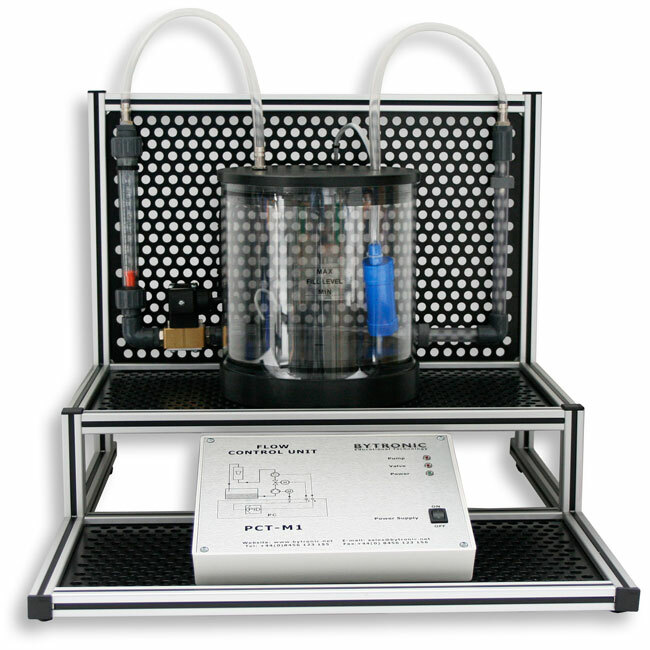 The clear tank and pipes allows the student to see the processes they are controlling. 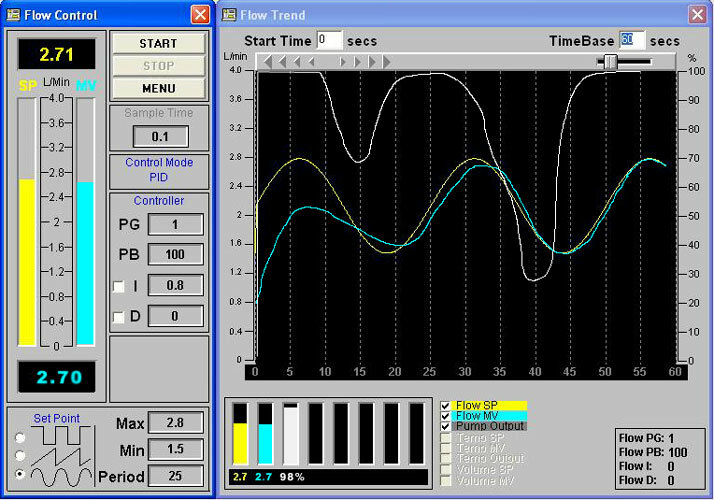 The study of flow control and monitoring in a system can be performed through the graphical based software supplied with the unit, which has PID control with graphical interface for data analysis. The PCT-M1 only requires connection to a PC through a USB connection. The control module is contained on the unit and has a mimic of the systems and LED indication.